A tiny Spanish island with just 10,000 residents is about to do something amazing. El Hierro, the smallest of the Canary Islands, plans to completely sever ties with the traditional power grid and move entirely to renewable energy. The island plans to become completely self sufficient next month when its 11.5 megawatt wind farm kicks into gear. El Hierro already has a water turbine that generates electricity, and the added wind power will enable the island to go totally off-grid. The island actually generates enough power for its residential needs with just the water turbines, but the wind power allows El Hierro to have a little extra power, which will be used to pump fresh water from near the harbor on the island to a reservoir in a volcanic crater 2,300-feet above the sea. When there is not enough wind for electricity needs, that water will be released to feed down into the water turbines to generate more energy, so the island will always have enough power to keep things running. Imagine if more islands are able to farm such energy. Over time and trials of projects like these, we will learn of ways to make building out wind turbines to be more efficient and effective. In a closed environment such as islands this could be rather optimal. When engineers faced resistance from residents in Denmark over plans to build wind turbines on the Nordic country’s flat farmland, they found a better locale: the sea. 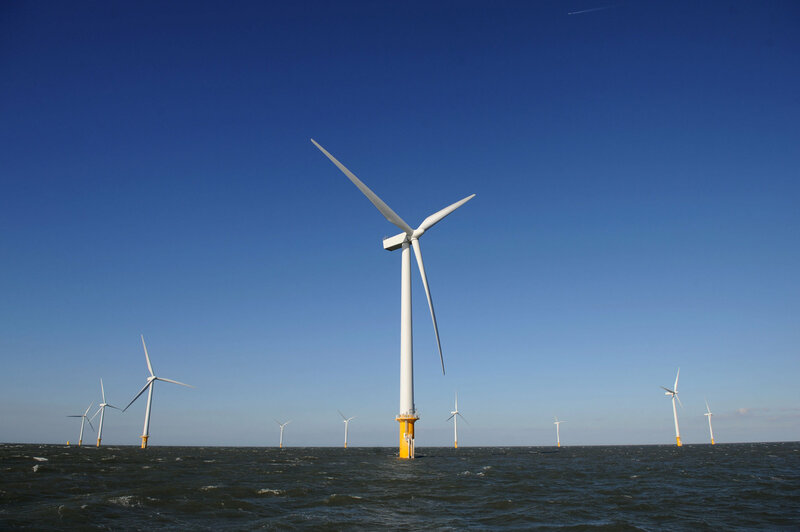 The offshore wind farm, the world’s first, had just 11 turbines and could power about 3,000 homes. That project now looks like a minnow compared with the whales that sprawl for miles across the seas of Northern Europe. Off this venerable British port city, a Danish company, Dong Energy, is installing 32 turbines that stretch 600 feet high. Each turbine produces more power than that first facility. It is precisely the size, both of the projects and the profits they can bring, that has grabbed the attention of financial institutions, money managers and private equity funds, like the investment bank Goldman Sachs, as well as wealthy individuals like the owner of the Danish toymaker Lego. 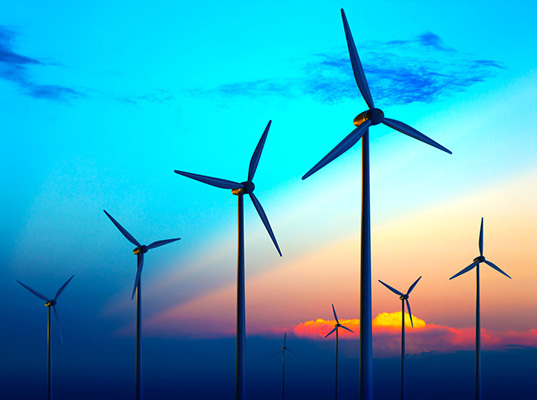 As the technology has improved and demand for renewable energy has risen, costs have fallen. Visit source link for full article! 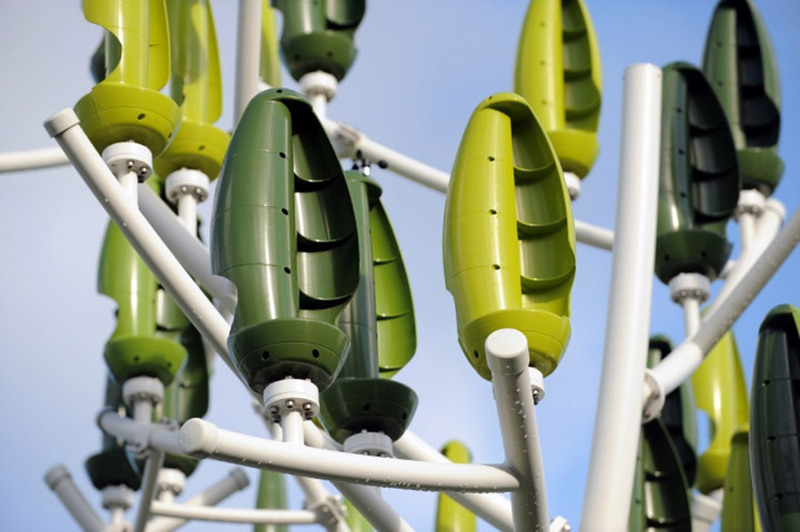 A French company called New Wind is installing tree-shaped wind turbines at the Place de la Concorde in Paris, France. The company’s founder, Jérôme Michaud-Larivière came up with the idea while in a Paris square, when he “saw the leaves tremble when there was not a breath of air.” He hopes the trees can be used to exploit small air currents flowing along buildings and streets, and could eventually be installed in people’s yards and urban centres. He is the first to admit the efficiency of the trees is low compared to more consistent currents higher up, but believes the £23,500 trees are more viable and less intrusive than ‘monstrous’ conventional wind turbines. 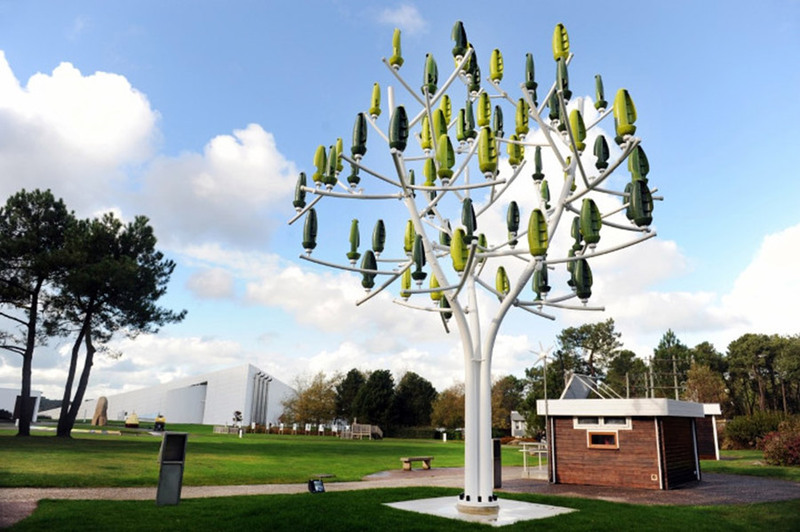 The 26 foot high trees, which use tiny blades inside the ‘leaves’, could potentially be profitable after a year of wind speeds averaging 7.8 mph. 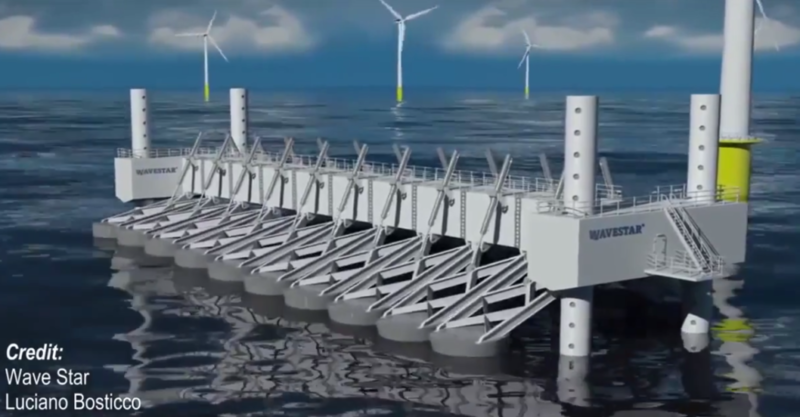 They can generate electricity in wind speeds as low as 4.5 mph. Visit the link below for more photos and a video.